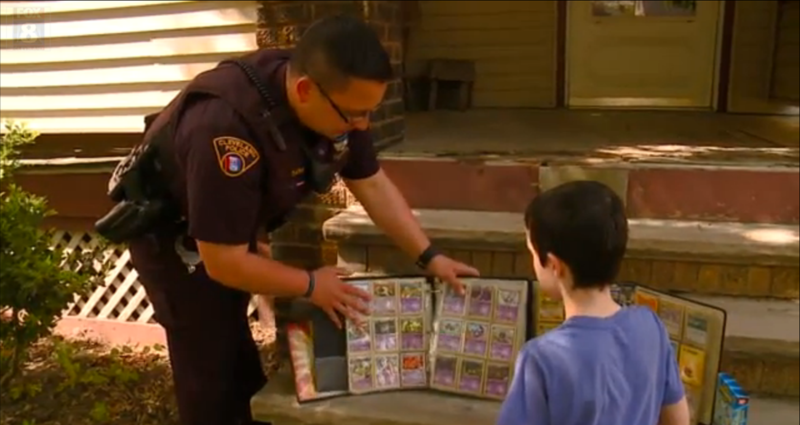 In what might be the best feel-good news story ever, a Cleveland police officer and a 9-year old boy are brought together over their love of Pokemon. Well, sorta. When young Bryce had his prized Pokemon collection stolen by a neighbourhood douchebag, the police and local kids came together to track down the thief. The binder that Bryce kept his cards in was recovered but there were cards missing from the collection. Bryce, who had been collecting the cards since he was six was absolutely devastated. In steps 26-year old local hero and man-in-blue James Grotenrath who had loved Pokemon since he was in primary school. Police Officer Grotenrath went back to his house, whipped up his own collection of cards and presented them to Bryce who was naturally over the moon. The thief was caught and given a jolly good talking to by police but no charges were placed. Who said the police couldn’t be super cool?